Omni ROM for Galaxy S3! Multi-Window [All Variants] ~ AndroidRootz.com | Source for Android Rooting, ROMS, Tricks and More! 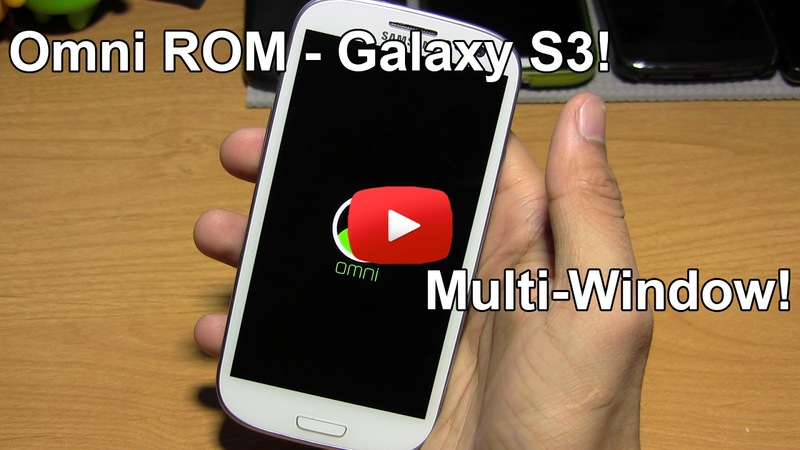 Omni ROM for the Galaxy S3 AT&T, Sprint, T-Mobile, Verizon, Cricket, Metro, and U.S Cellular variants. This ROM is quite a unique ROM for a couple of reasons. First of all it comes with multi-window on an AOSP based ROM. Second, this ROM is made from Chainfire and other major developers. The coolest feature in this ROM is the multi-window. You can add any 2 apps and make them run side by side in both portrait and landscape mode. While you can't adjust it if you want one app to be bigger than the other this is still a very good start! On top of that cool feature Omni ROM also includes the Moto X Active Display which will work just as great on a Galaxy S3 since it has an LED display. One other feature is, OmniSwitch that gives you recent, favorites, and software navigation keys on the left side of your screen.